The Launcher family of drivers and woods has been a successful one for Cleveland Golf over the years, and it's a name the company returns to occasionally. The first Cleveland Launcher driver appeared many years ago and was "re-launched" in 2002. Then a couple other models followed before the "modern" Launcher driver (meaning: 460cc) arrived in late 2008. And that is the Launcher driver - the one now known as the Cleveland Launcher 2009 - that is reviewed below. 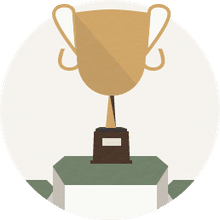 At the time of this update, there were no new Launcher drivers in the current Cleveland club lineup; that is subject to change, since, as noted, the company brings back the Launcher name from time to time. However, in addition to the Launcher 2009 reviewed below, there are multiple more recent models of Launcher drivers - and that means they are easy to find on the secondary market, in golf shops offering selections of used clubs, or online. We suggest you consult the PGA Value Guide before buying used - it tracks the trade-in and resale value of used clubs. Click to view the Cleveland driver section of the guide. At first glance, the new Cleveland Launcher introduced in late 2008 appears to be another 460cc head that you could cook two eggs and bacon on - like so many others on the market these days. The design of the sole plate allowed the engineers to move more weight down and back from the face. The weight is contained in the silver horseshoe section. Additional weight was removed from the crown by thinning the material. Lengthwise, the Launcher is a half-inch longer than what has been a typical driver length in recent years, at 45.5 inches. Additional length takes a little adjusting in the swing, but if you can control the length, there will be more yardage off the tee. I am a low-ball, left-to-right hitter. My regular driver has 13 degrees of loft and a much heavier shaft. 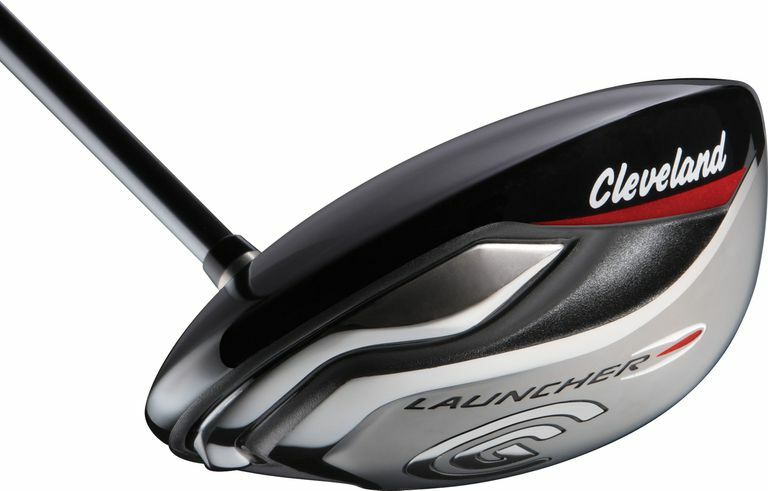 The Cleveland Launcher I tested has 10.5 degrees of loft and a slightly closed face angle. Right off the bat, I was very pleased with the launch angle I was getting. Two-and-a-half degrees less loft that my own driver, but the ball was getting up in the air much higher than with my usual driver. The problem I was having - the first time out with the club - was control. Balls were flying miles right. As much as I liked the feel of the club and the height of the shots, I couldn't keep the ball on the driving range. Thankfully, there was someone with a much smoother swing than mine right behind me. I asked him to hit a few balls with it and he was hitting balls well past where he typically does with his own driver. What I was learning is that this superlite (50 grams) Fujikura Fit-On Gold shaft demands a smooth swing, and rewards that smoothness. Give this shaft a chance to get squared up and the ball will go. I didn't get it right that day, but I was interested enough to give it more time. A second range session showed enough improvement for me to take it to the golf course. Before the round, I had to commit to the smoother swing, and with that commitment, I hit eight consecutive fairways before losing my mind and trying to go full-bore after a tee shot. Lesson learned - this is a smooth hitter's shaft - but I was keeping the ball in play. The slightly closed face was helping keep the ball straight, the shaft and head had a lot of kick that kept me within 20 yards of some big hitters, and the ball was getting up in the air a lot higher than my usual ball flight. I was very excited about the results after a few trips to the range and some practice sessions without balls before heading to the course. The sound is very acceptable - not annoyingly loud or overly hollow sounding. The feel is solid - and the ball goes - which is pretty much all I ask a driver to do. This Cleveland Launcher is definitely worth a try. If you like the feel of the club, Cleveland offers a Red version of this Fujikura shaft that is 10 grams heavier and has less torque to let you swing harder or quicker. They also offer 18 other custom shaft options.